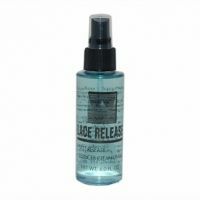 Non-oily formula used to gently remove tape and adhesives from hair system without damaging the lace. Directions: Apply solution over the area you wish to remove. Wait for 1 minute. Then, gently lift system away from head. And "presto", the tape and residue are released, avoiding messy cleanup and tape residue in mesh. Caution: Flammable. Do not put near open flame. External use only. Do not apply to irritated skin or use in eyes. Keep away from children. Do not store above 120 degrees. Close tip promptly after use. Contains: Technical Grade Dimethylcarbinol, Mineral Oil, Propylene Glycol, FD&C B 1.